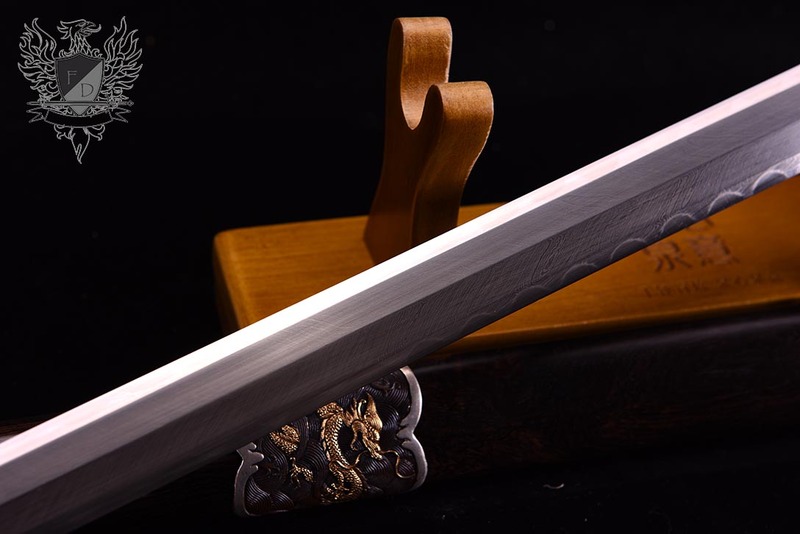 The blade is differentially hardened on both edges with a technique that creates a fine, windswept, feather like appearance (hence the name). 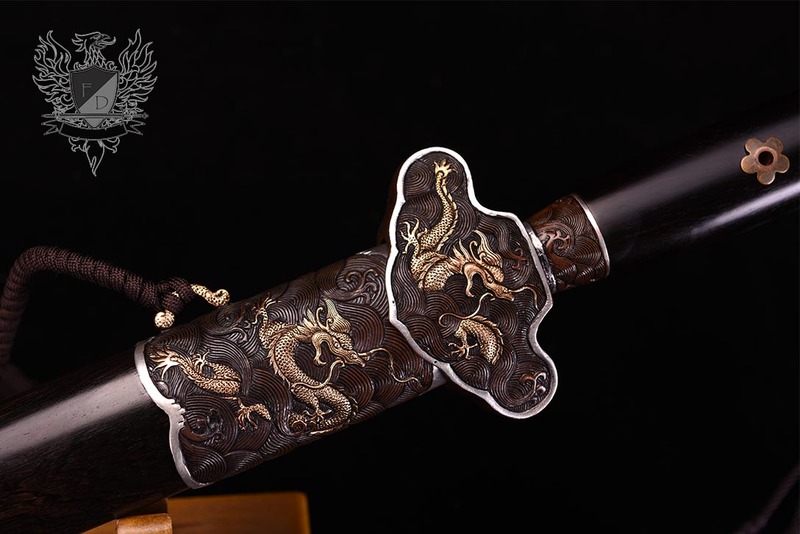 The fittings are a work hardened red copper base richly gilded with real gold and silver in a sea dragon and waves theme. 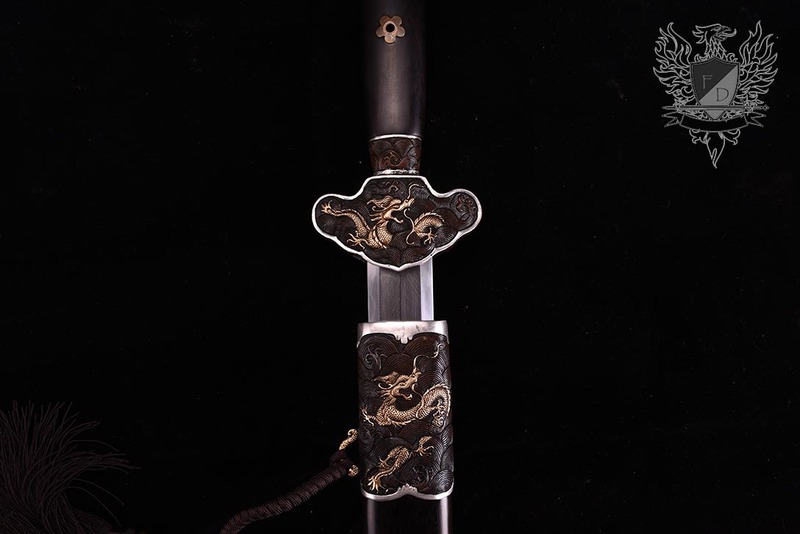 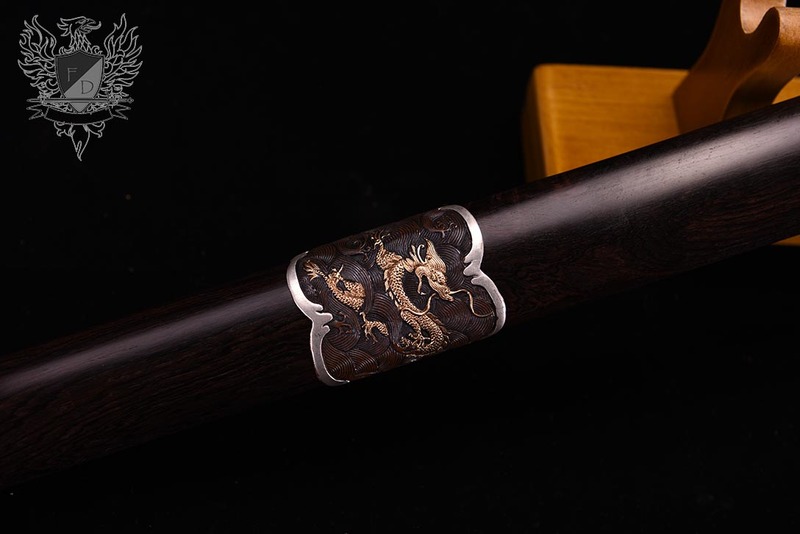 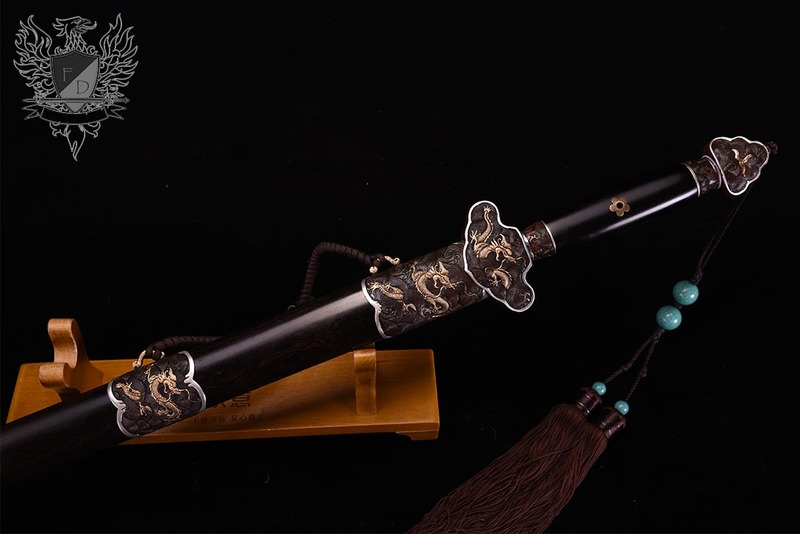 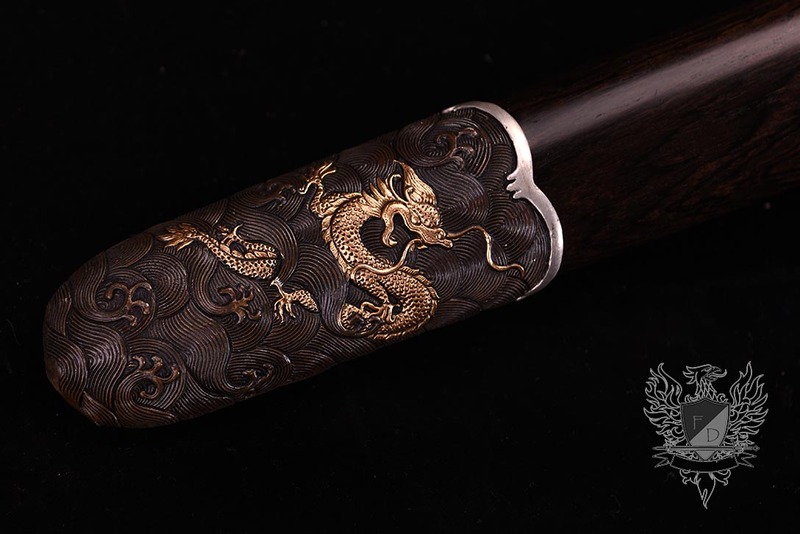 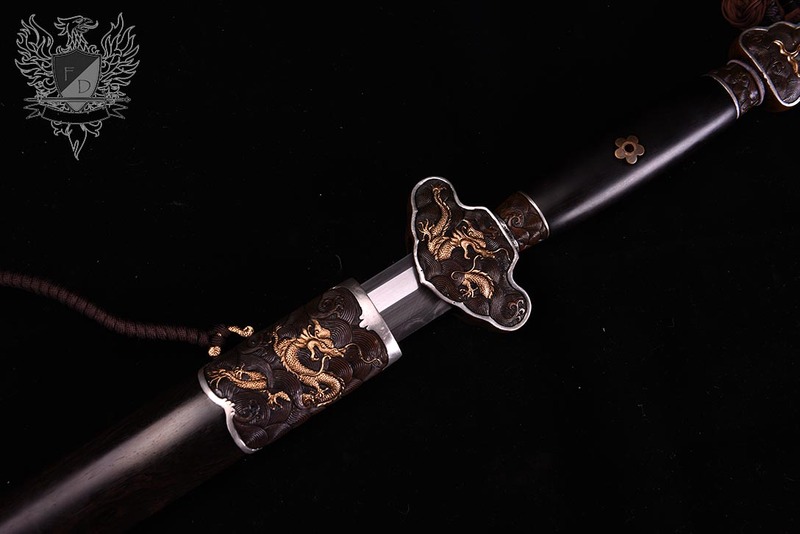 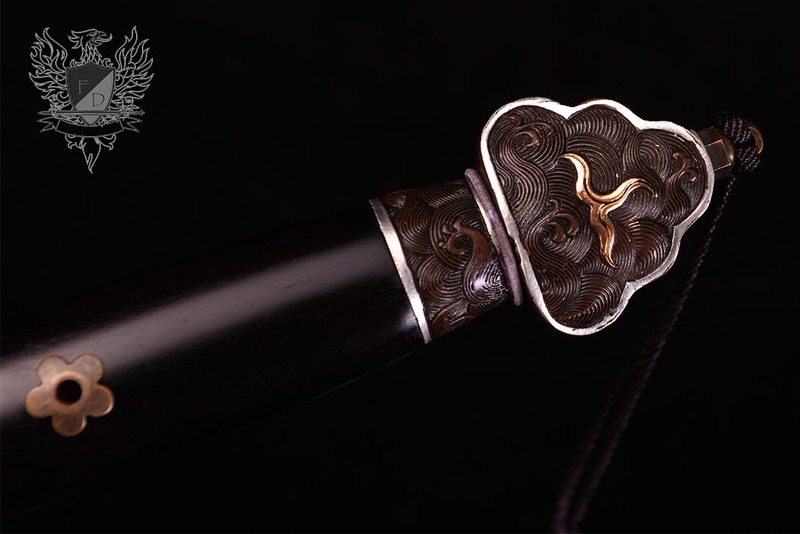 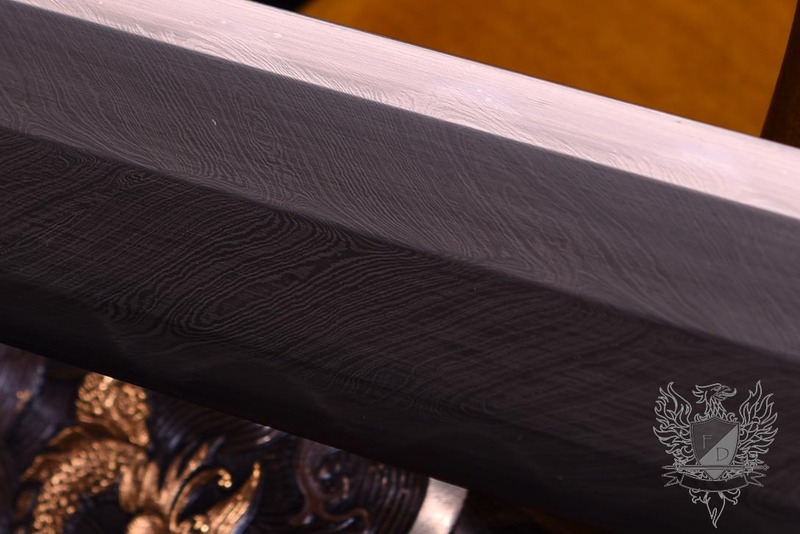 Handle and Scabbard are both rich ebony wood. 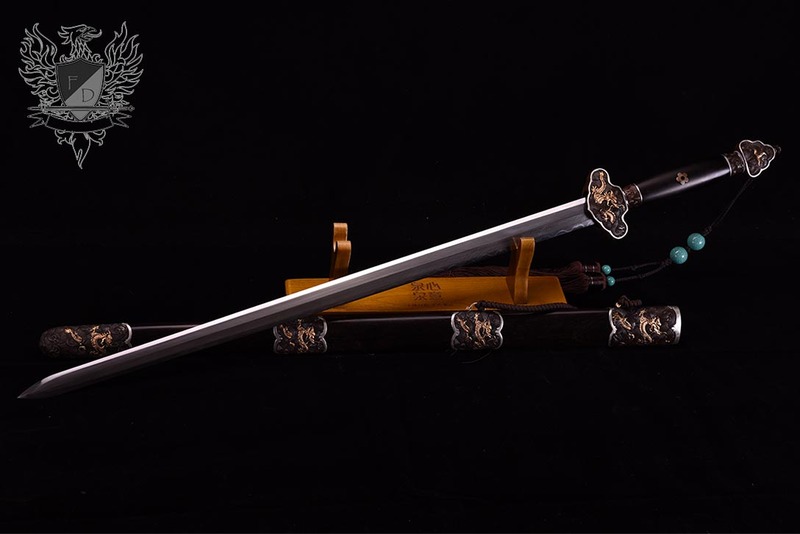 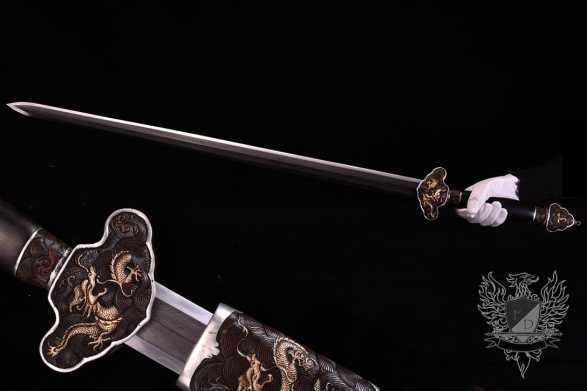 The overall feel of this sword is a powercutter - the long handle and heavy fittings balance the meaty 3.5lb swords blade so that it feels deceptively light. 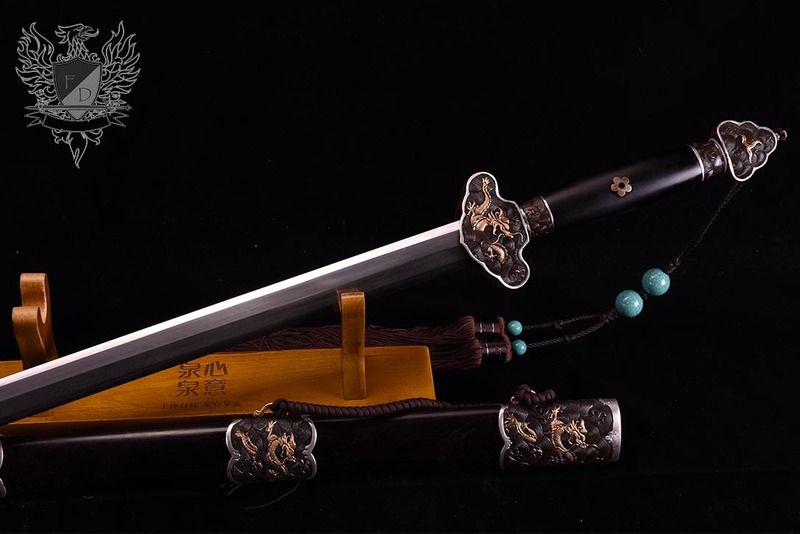 Until it bursts through or cuts asunder anything put in front of it..
Mastersmith Forged and Sharpened 1095 Carbon Steel, Feathersteel tempered blade with art finish polish. 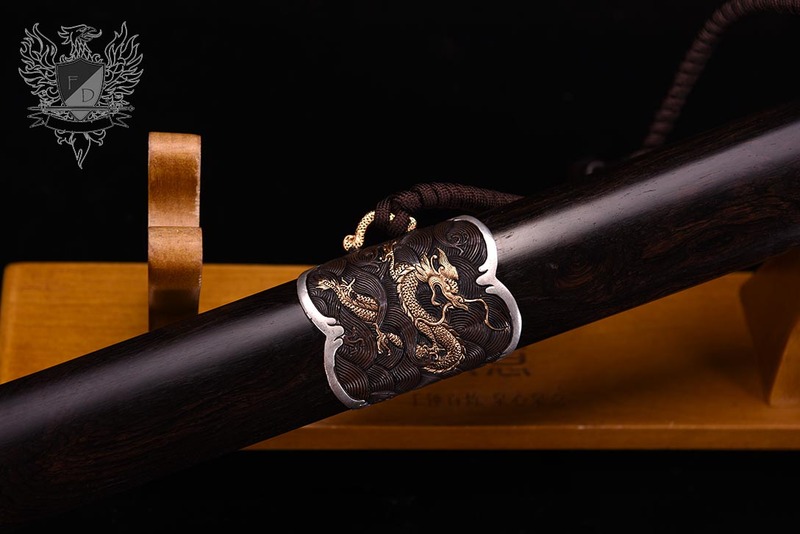 Premium black ebony and work hardened red copper fittings with real gold and silver gilding.